Rode M5 vs NT5: Here Is Our Best Pick! The first step towards achieving the perfect sound is choosing the right microphones and that's the trickiest part, isn’t it? Directional condenser microphones, let you get the exact result you had planned of and what could be better than the Rode M5 and NT5? 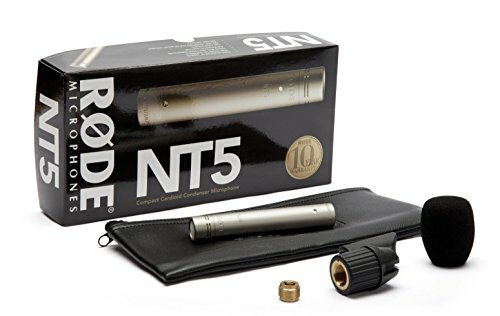 When you want to record stereo tracks of live performances, studio projects, choirs or even an orchestra, that’s where the Rode M5 and the Rode NT5 come in – condenser microphones used in pairs that serve the purpose acutely. These microphones make sure you record a rich and clear session.So which one between the Rode M5 and Rode NT5 would suit your needs perfectly? Look at the Specifications in the table below. 1 Rode M5 vs NT5 – Let’s find out! Rode M5 vs NT5 – Let’s find out! Often known as ‘pencil mics’, the Rode M5 is a stick condenser microphone that comes in a pair and is specifically designed for recording stereo session. Both the microphones have an identical look and each of the has an all-metal casing coated with matte-black ceramic paint. 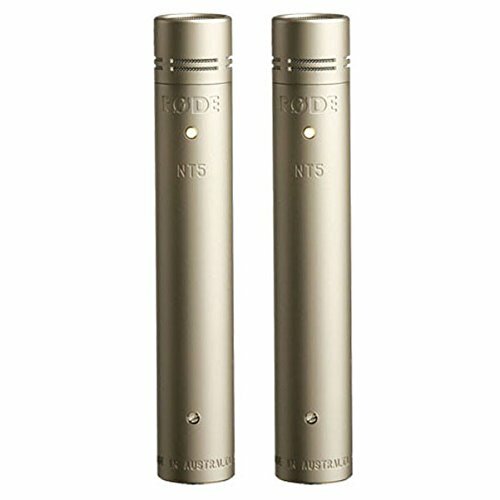 With more luxurious and elegant looks, the pair of Rode NT5 condenser microphones showcase a nickel-plate body with a satin finish. Both the microphones are durable and rugged although the Rode NT5 boasts an enhanced durability, thanks to its nickel plating. Furthermore, the Rode M5 features a half-inch capsule with a gold-plated membrane. The Rode NT5 exhibits half-inch capsules with small diaphragm mics. The gold-sputtered capsule results in better conduction and maintains rigidity as well. In comparison to each other, the Rode M5 is lighter and shorter than the Rode NT5 which is a little heavier and longer. While each mic of the Rode M5 weighs 80 grams and is 3.94-inches long, the Rode NT5s have a weight of 100 grams and a length of 4.65-inches. Both the Rode M5 and the Rode NT5 have cardioid heads.The heads of the Rode M5 are not replaceable hence you have only one choice of polar pattern – cardioid. With the replaceable heads of the Rode NT5, you can choose to purchase omnidirectional heads if your recording demands so. ​Let’s run you through an example. Suppose you want to record a piano piece and you have the Rode M5 only. As a result, your sound will lose out on the bottom-end due to the directional pattern being cardioid. However, if you are using a Rode NT5, the omnidirectional heads will capture the resonance of the sweet bass and give your sound the necessary warmth and fullness it requires. ​It saves you the trouble of looking for another microphone altogether, which gives the Rode NT5 a massive advantage over the Rode M5. With both the Rode M5 and the Rode NT5, you get wind shields and stand mounts with a minimum warranty of one year. You can opt to purchase a 10-year warranty if you want to.By now, the Rode M5, you get the power options of 24 or 48 volt power connected through an XLR cable. To ensure pure signal transmission and better conduction, the connectors are gold-plated.As for the Rode NT5, you need a mandatory 48 volt phantom power to operate it and they are connected via XLR cables as well. So how do these pairs of microphones perform when compared to each other?Looking at the price, the Rode M5 puts out an impressive performance. Along with being affordable, it also delivers a good sound quality with decent accuracy. The Rode NT5, on the other hand, evidently has a better sound quality. The bass sounds more accurate and fuller. There is ample amount of detailing to its mid and high range frequencies. The high impedance levels of both the Rode M5 and the Rode NT5 ensure that they can record higher frequencies even with the use of long cables without any loss of signal. The Rode M5 lacks behind the Rode NT5 because of its high self-noise which can be annoying when there is a need to capture the fine audio details. Due to its lower levels of self-noise, the Rode NT5 enjoys better clarity and focuses on the minor details of audio. It can handle loud voices without any worry because of its increased maximum SPL. It sets an example of versatility as it is perfect for recording loud performances as well as soft ambience sounds. Rode NT5 has better clarity and focuses on the minor details of audio than M5. The NT5 sounds better than the M5. It's time to declare the winner in rode m5 vs nt5 battle. Nobody wants to compromise with their sound at any cost and both these condenser microphones are up to the expectations and emerged out as top-quality products. The price of the Rode M5 is significantly low and has gained its reputation as a good microphone with lots of good reviews about its immaculate detailing and tremendous sound accuracy. On the other hand, we have the Rode NT5 that is blessed with added advantages like a lower impedance, lower self-noise, higher maximum Sound Pressure Level (SPL) and a sleek looking nickel-plated body. If your budget is restrained and you are looking for a way to achieve maximum benefit, the Rode M5 is the right solution. In addition to its affordability, it delivers an impressive performance. That being said, it is highly recommended that you choose the Rode NT5 if you can because it is clearly the best of the two. Luxurious looks, replaceable heads, better durability and improved sound quality – you name it and the Rode NT5 won’t disappoint you. So the winner is Rode NT5.